You can take the girl out of the south but you can’t take the south out of the girl. 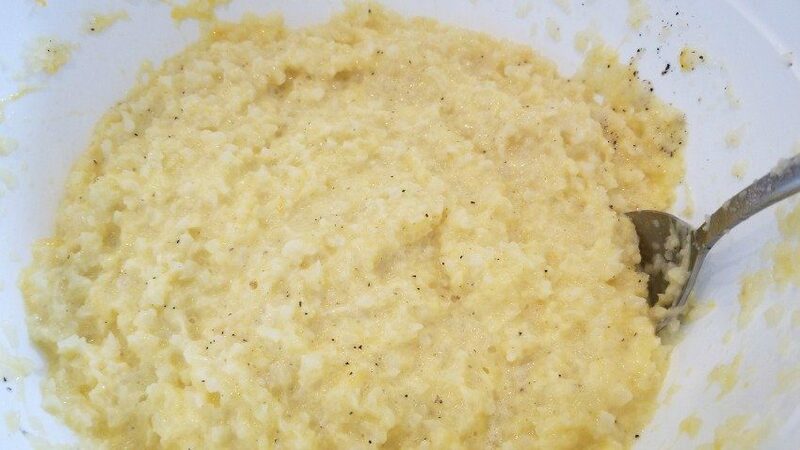 I haven’t lived in Alabama in over 35 years but I still love me some cheese grits. 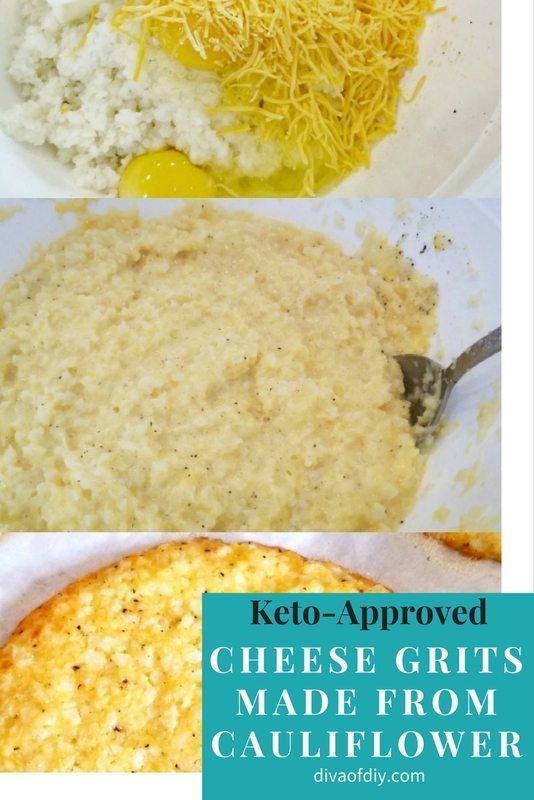 They are a staple of most southern diets but, unfortunately they don’t fit the Keto lifestyle. 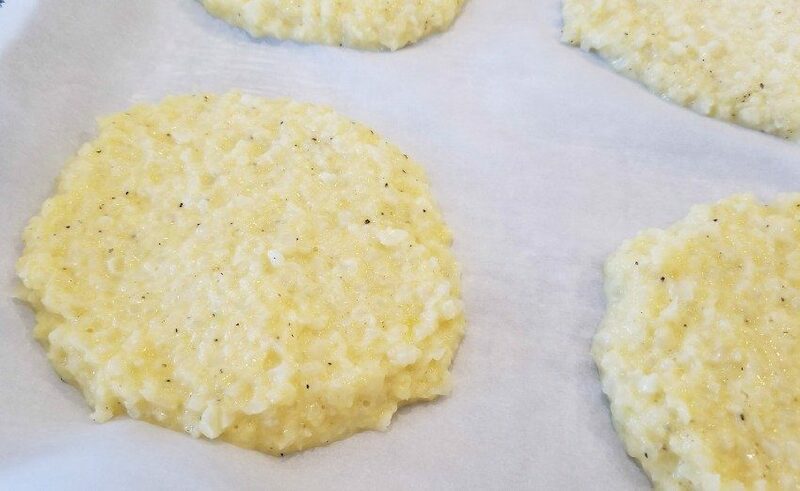 These cheese grits made from cauliflower will do the trick when you are needing a taste of southern deliciousness. 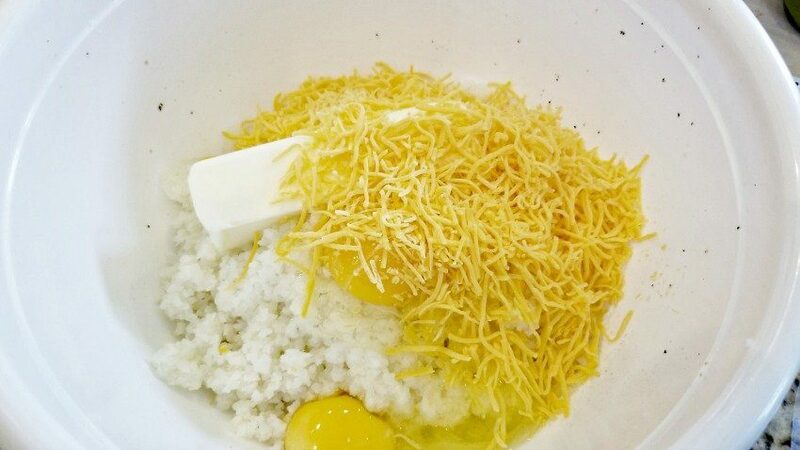 Step 1) Place cauliflower, butter, eggs and cheese in bowl and mix well. Place in microwave for 1 minute if needed to soften cheese enough to blend. step 2) Blend well. 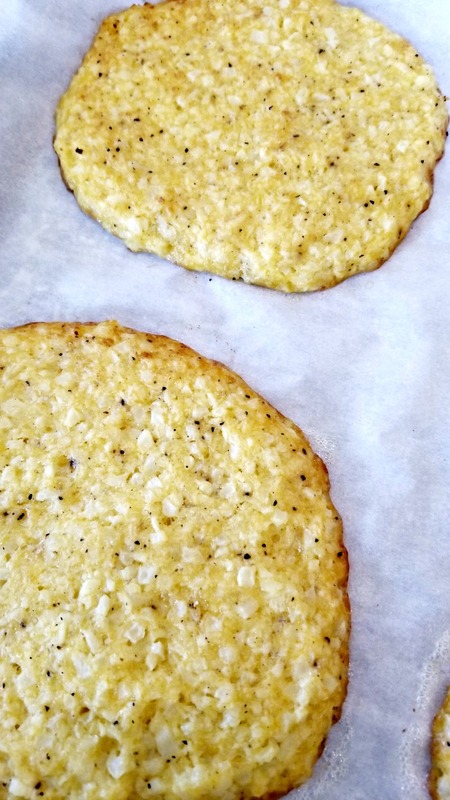 I add the egg so I can bake these and they will hold together like a cauliflower fritter. I place them in my meal prep containers for the week. Step 3) Place on a parchment paper-lined baking sheet. 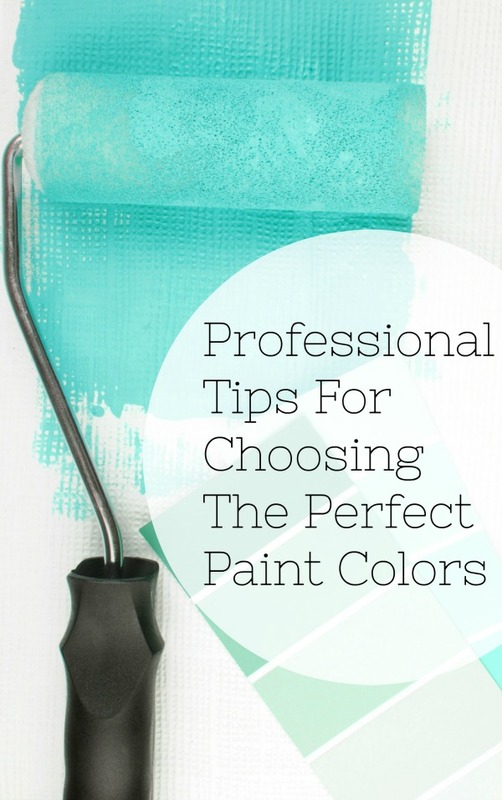 Bake at 400 degrees for 20-25 minutes or until they have a golden color. This cheese grits recipe is delicious with a ground beef patty and a couple slices of thick bacon, philly cheese steak stuffed peppers, bacon-wrapped shrimp or several pieces of bacon-wrapped asparagus. Place all ingredients in bown and mix well. Place in microwave for 1 minute if needed to soften cheese enough to blend. 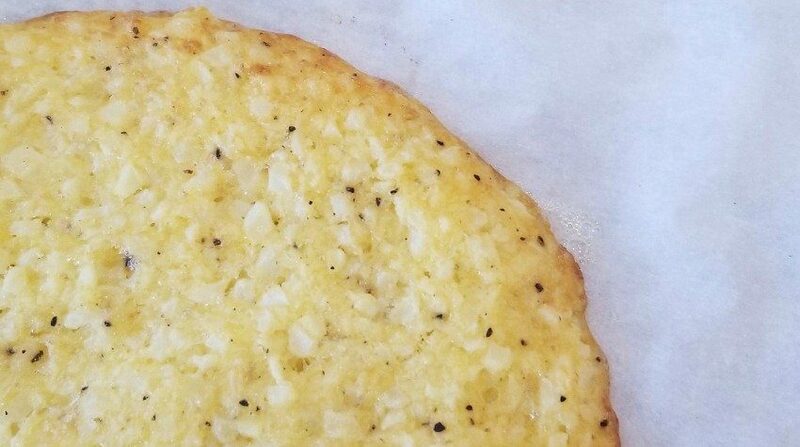 Place on a parchment paper-lined baking sheet. Bake at 400 degrees for 20-25 minutes or until they have a golden color.